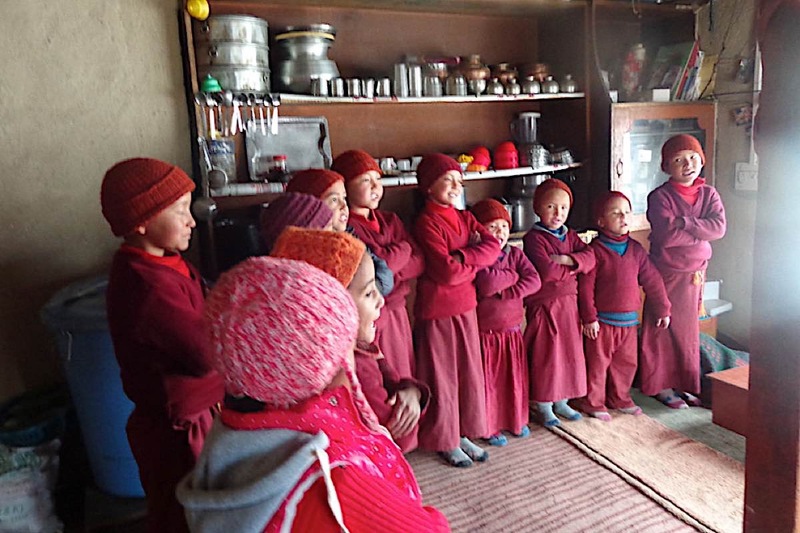 As you might expect of 185 devoted Buddhist nuns, they ask for very little, but here in Zanskar Valley — one of the most isolated valleys in the Himalayas — many live without heat, water and electricity. Some of the nuns are children, as young as four years old — and the oldest nun is 88. 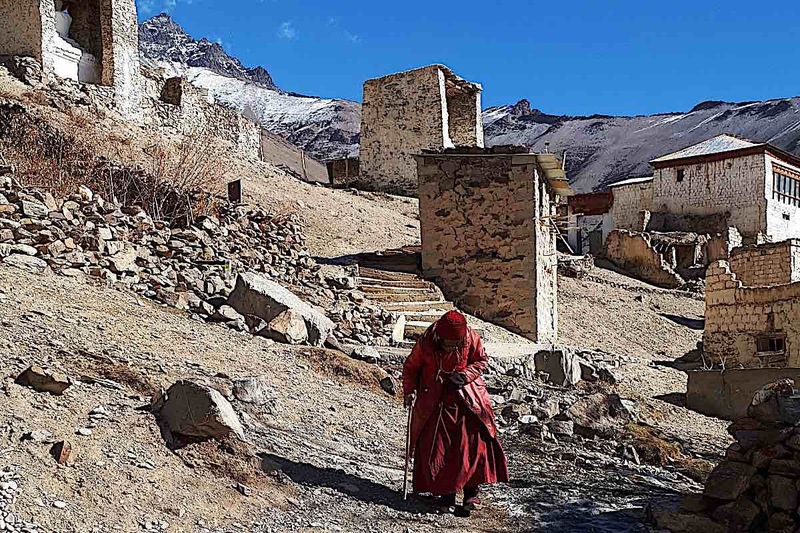 An elderly nun makes her way by foot through the humble buildings at Karsha Nunnery in Zanskar Valley. 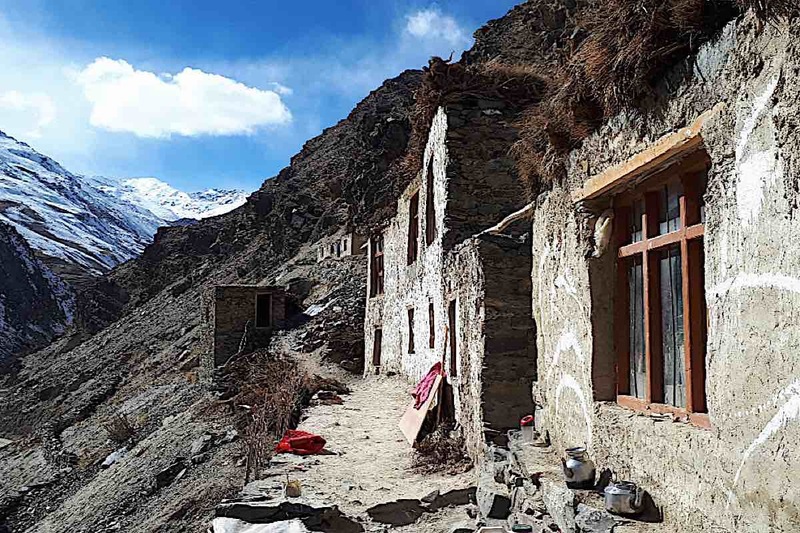 Unlike other areas, where the locals help the nuns with ample donations of food and clothing, Zanskar valley is impoverished — and typically the monks receive the better donations. 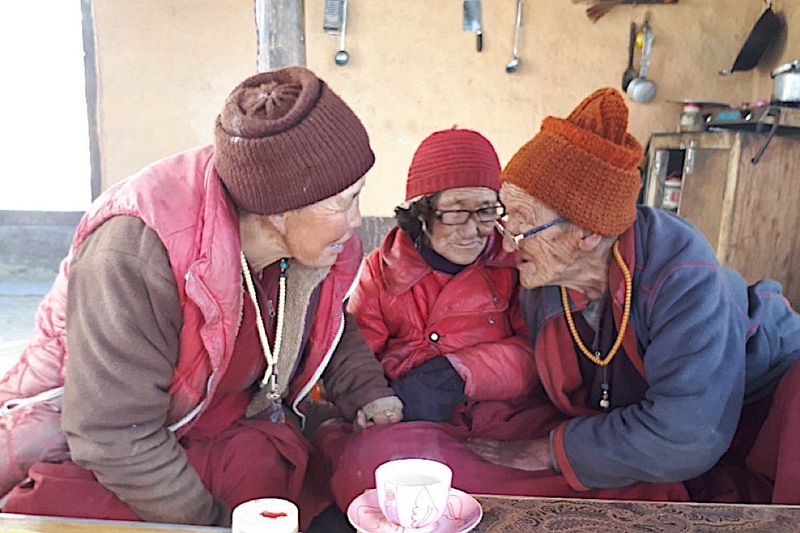 Their best hope of aid comes from Gaden Relief, a tiny certified charity in Toronto, Canada, who have helped the Zanskar nuns since 1991. 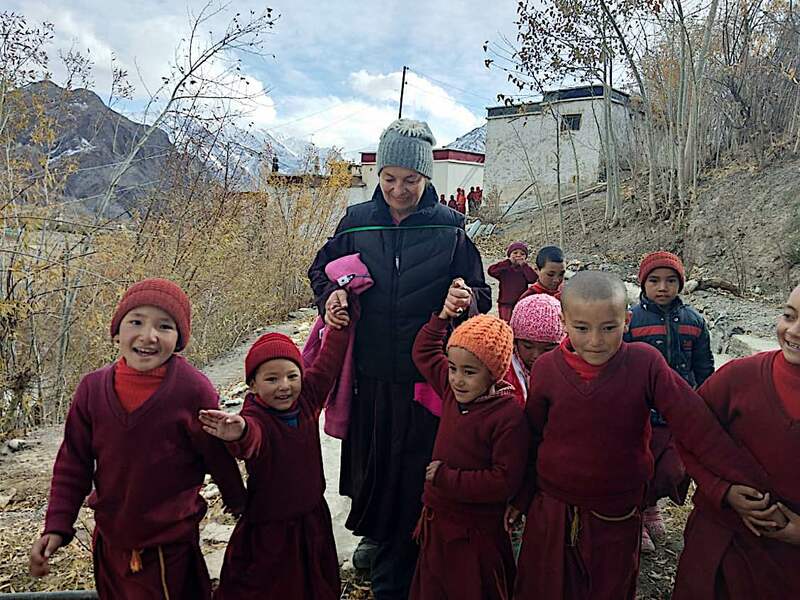 Last year, Irina Safonova of Gaden Relief, a Canadian certified charity, was touring the valley, to see first hand what their most urgent needs were, which led to the current GoFundMe fundraising. 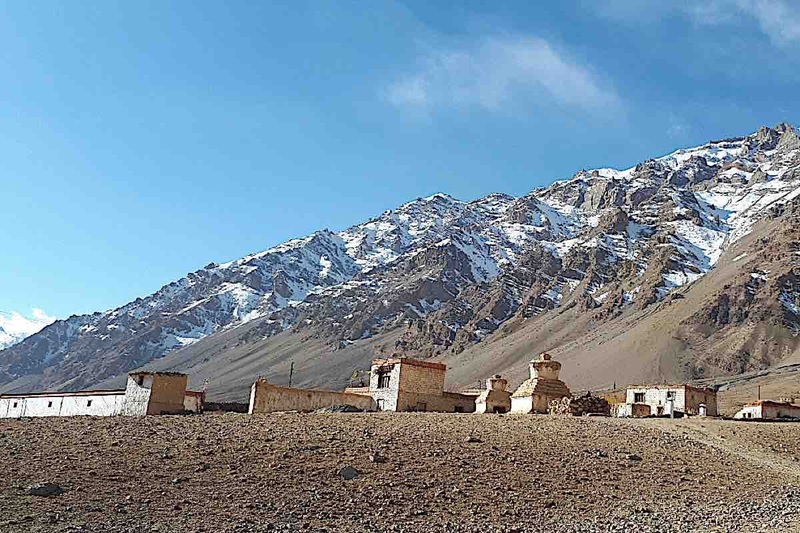 The nunneries in Manda, Rizhing and Byra are the worst off in the valley, with a critical shortage of everything, even heat and food, and basic healthcare. Shoes and clothing must last years, not months. For housing, they built simple structures themselves. 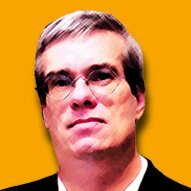 They have limited access to Dharma teachers. 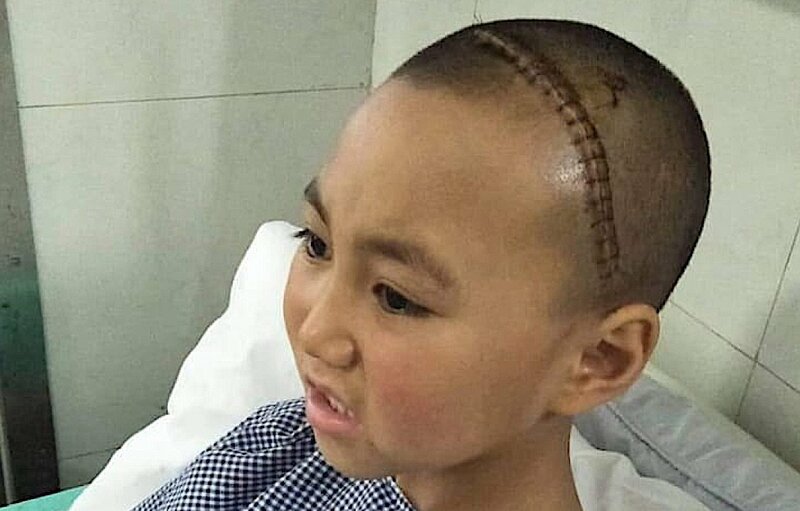 Last year, when one child nun needed urgent neurosurgery, there was no way to care for her in the valley. [We covered the story of the nun Stanzin in a previous story, here>>] By western standards, her surgery was a bargain — but there was just no money to pay for it. If not for the quick action of Gaden Relief, she may not have been able to have the 24×28.3mm cystic lesion removed from her left parietal lobe. Irina Safonova of Gaden Relief, asked close students of H.E. Zasep Rinpoche to donate for the emergency. 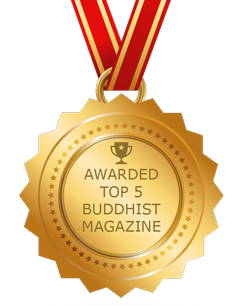 Together, the Gaden Choling sangha raised funds for the surgery. 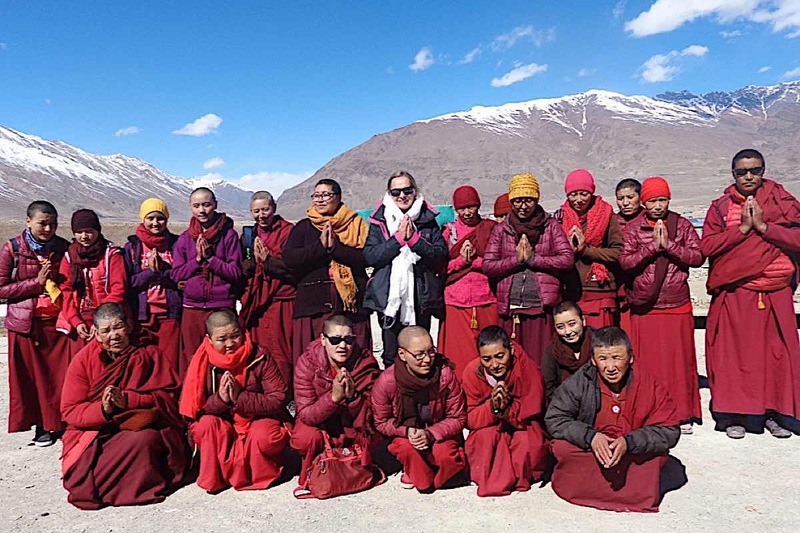 Irina Safonova, from Gaden Relief took a special interest in the isolated and humble nuns of Zanskar. She visited last year, assessed what was need, and has now organized a GoFundMe relief drive. Ninety-five percent of donations directly benefit the nuns, since the charity is run entirely by unpaid volunteers. Some of the needs are infrastructure since they have little in the way of water and electricity. A few of the nunneries have solar power for a few hours a day, thanks to some past donations. Pishu nunnery is in a very remote area, cut off from road access for much of the year. Gaden Relief is a small volunteer-only certified charity that has supported nuns and monks in many poor areas. 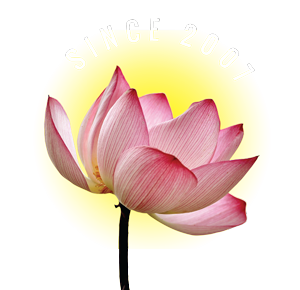 Gaden Relief has been helping the nuns and monks since 1991.